Have you heard the news? As of January this year, China ban all imports of paper and plastic for recycling that have over a 1% contamination rate. To put that into perspective, Recology the waste management company for San Francisco, arguably the most advanced recycling facility in the US, has the lowest bale contamination rate in the US averaging 5% per bale. This means NO current bale meets the current 1% requirement. Plastic only had a 9% recycle rate before the ban.... So, what's happening with all of our "recycling"? One of my readers, Michael, sent me this email. "You’ve inspired me in so many ways this year. 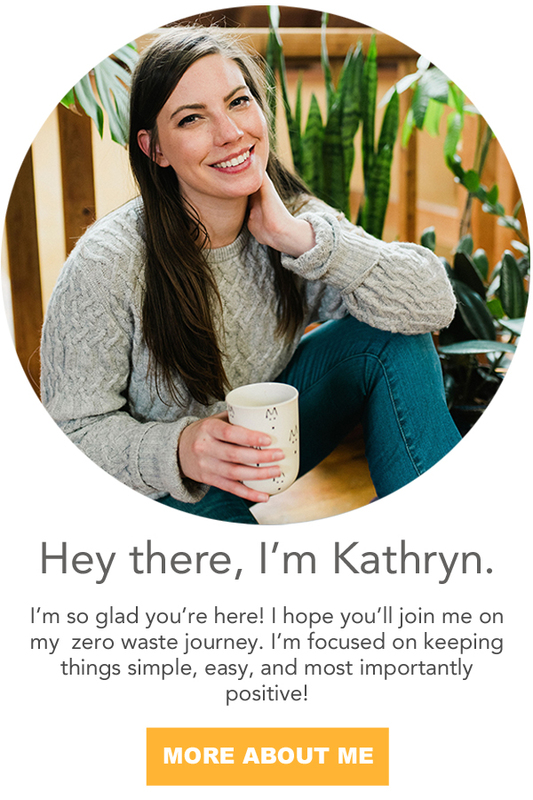 I’ve been going zero waste since January 1, 2018 and have been doing great with it. I am at the point with my household where we only take out one small plastic bag of trash a week. That being said, I would like to hear your expert opinion on something. It recently came to my attention that the curbside recycling program in my county is sending most of its recycled products to China. From what I’ve gathered, China is the number one polluter of the ocean by a landslide. This begs the question: do I continue recycling knowing that it’s just going to end up in the ocean, or do I start sending the few recyclables I have to landfill where I know it won’t be killing fish? Of course, I still have many gaps in my knowledge and would love for you to fill in wherever you can." First of all, before we delve into this loaded recycling question, I want to say how AMAZING it is that Michael's household trash is only a small bag a week! That's awesome! Most Americans fill a 64 gallon bin. Thank you for all of your efforts, you are amazing!! The US exports 1/2 of it's recycling, but it's not just our stuff, they accept waste from Canada, the U.K., and Japan, and in 2016 they received over 7.3 million metric tons of materials. And, they manufactured 74.7 metric tons of plastic. Almost all of the plastic in the ocean comes from only 10 rivers in the world. I read several conflicting reports but they all average around five rivers running through China. Everyone agrees that the Yangtze river in China is the worst sending 22 metric tons of waste into the ocean each year. I made a map of the 10 most polluting rivers in the world. But, is this plastic from our recyclables? China made an agreement with the UN that they're working to stop plastic from entering the ocean June of 2017. Around that same time, is when they put the US on notice for not accepting our recyclables. That's speculation at best, and I'll let you draw your own conclusions. What we do know is contamination rates were high. Most Americans don't do a super great job of paying attention to what they put in the recycle bin. This means much higher contamination rates in the bales. Once everything is baled and shipped to China, the workers there have to sort all of it. This could result in minor contamination like a little bit of peanut butter left in the jar to major contamination like hazardous household cleaners resulting in poor working conditions and a toxic environment. It's important to remember recycling is a business not a charity. They're not doing this out of the goodness of their hearts to save the planet. They're doing this to make money. We the citizen did a bad job at sorting and adhering to the recycling requirements. The waste management companies didn't do a good enough job enforcing and educating the public on the matter, and decided China could deal with it. Unsurprisingly, China is fed up with it. It means your plastic and paper are sitting in bales with no place to go and to quote Rogue Waste Systems in Oregon, "Right now, by definition, that material out there is garbage. It has no value. There is no demand for it in the marketplace. It's garbage." Well, it means we're going to have to either up our consumption of virgin resources. This is currently happening. But, the earth is already super strapped since we use 1.5 earths worth of resources each year. We have to look at zero waste solutions. Recycling was never our savior. Recycling was never the answer. This is going to force a lot of businesses hands, and we're going to be forced to come up with new solutions. Maybe China has ushered in a new era of recycling? Right now, there is more awareness on plastic pollution than ever before. Mix this with a ban on recycling and you've got a perfect storm for change. So, Michael, should you just toss your recyclables in the landfill bin? I think you're still fine when it comes to everything except plastic. When it comes to plastic, I don't know. That's a really hard judgement call to make. A lot of curbside programs aren't even accepting it anymore. First, thing I would do is get talk to my plant manager and ask them what their goal is? Are they trying to reach the 1% contamination goal? Are they looking at other recycling solutions? Based on how they answer is based on how I would react. Some recycling companies have sent out notices letting everyone know their plastic is now non-recyclable and is trash. Only time will tell what will happen. Recyclables are piling up everywhere. So let us hope this leads to global action to reduce our plastic usage. Reducing our dependence on plastic and focusing on reusable items instead of items we use once then throw away are the best things that we can do on the planet right now. 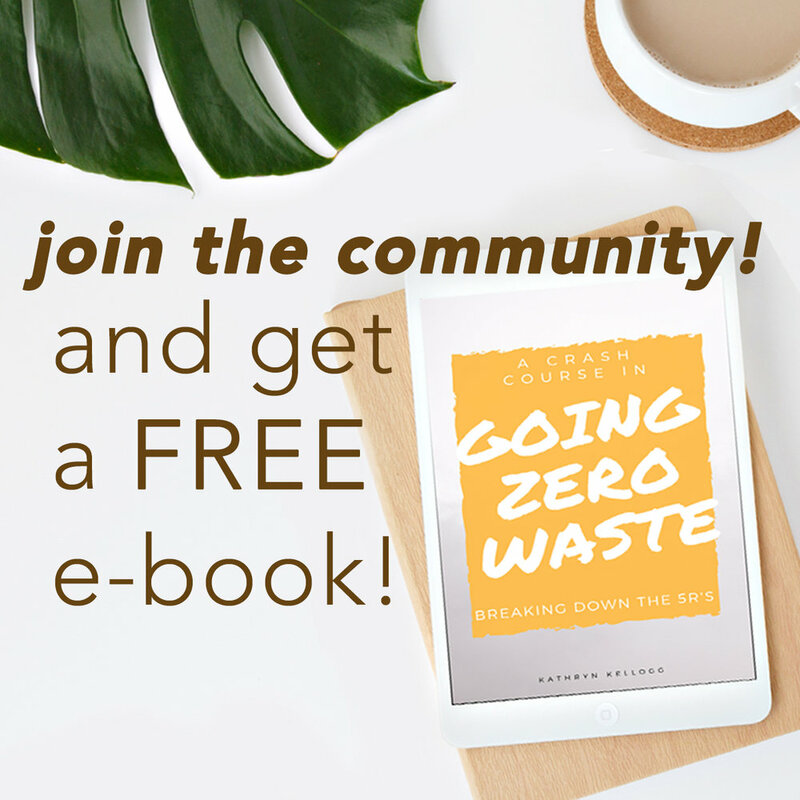 Check out my guide for the ultimate list of zero waste swaps and if you're looking for a place to start, check out my post on the big four. I'm curious, what would you do? How will you handle your recyclables now that there's a ban? Have you had any of these conversations with your waste management plant?